ch Show driving directions Show Street View or a custom panorama Just show a map of an area! 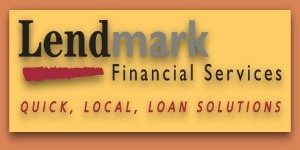 Financing available through Lendmark Financial. We can have you approved within a few hours. 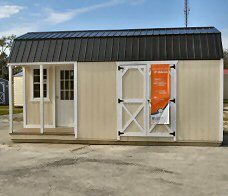 HC Buildings carries the highest quality and best price on wooden sheds, metal storage sheds and aluminum sheds on Jacksonville's westside. We also offer carports, garages, Rent to own sheds Jacksonville FL., wood buildings and and steel buildings! Whether you are looking for a small storage solution for your gardening supplies or you desire a two-bedroom log cabin, our wooden shed kits will exceed your expectations in both quality and ease of use. In addition to a standard storage shed, you can also find wooden sheds that beautifully cover your recycle and trash bins, wooden sheds that can serve as a pool house or a playhouse, or even wood shed kits that can be transformed into a kitchen prep station or garden chest. We offer build-your-own shed kits that provide you with all of the connectors you need, and a comprehensive lumber cut list. Steel offers strength, durability, high quality, long-term value, and security. Wooden sheds are strong and look great with have that natural look to complement your yard. Our Lexington series has a stylish feel and are made with pressure treated floors, and t1-11, cedar, LP siding. We offer a 1-yr workmanship warranty, 20-year flooring, siding and roof warranty. Wooden sheds can be stained to the desired look. Our floors use pressure treated planks ensuring that they will not rot. They are more expensive than the dip-treated ones but save you time and money over the long run. Wood sheds are much easier to modify than the metal ones. They don’t require specialized tools if you want to add shelving, windows or doors. Wood has the additional advantage of being a renewable resource. When delivering and installing your shed or storage unit, our goal is to ensure that your installation is hassle-free with minimal disruption to you and your family. Be sure to review our shed pre-delivery guidelines, and contact us with any questions or concerns. If we work together, your shed installation will only take 2-3 hours! And as always, delivery and installation is included in the price.